Home /Spain To The Rescue. The Continuing Story Of the Football Shirt. 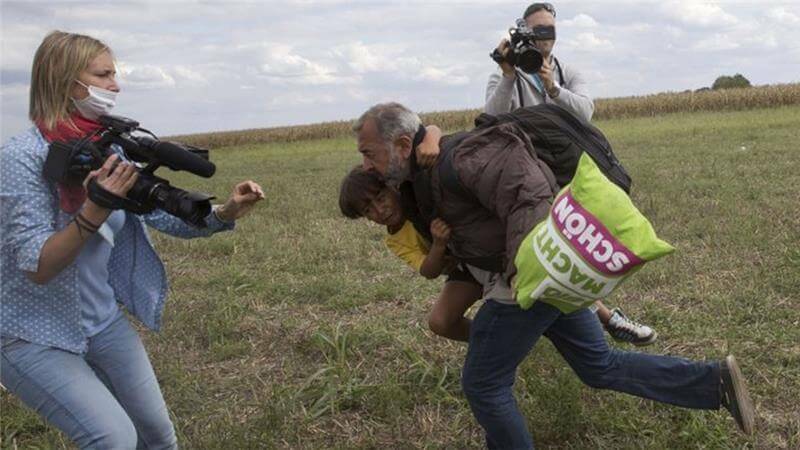 The world was shocked by the sight of a Syrian refugee being floored by a camerawoman as he ran from Hungarian troops near Roske in Hungary. Osama Abdul Mohsen was carrying his son Zaid when the now-jobless Petra Laszlo stuck out her foot to trip them in a field of fleeing refugees. Mohsen was a football coach before he fled his homeland and thanks to a humanitarian gesture by Spanish academy CENAFE, he and Zaid have travelled from Germany to Madrid with an Arabic-speaking coaching graduate. The school, which trains coaches, hopes to employ him in Spain’s well-developed training sector but CENAFE’s Luis Miguel Pedraza, a former national-level referee, says that the priority is to settle the pair and to teach Mohsen some Spanish. The school also plans to help with Mohsen’s asylum application for Spain, which has already agreed to take 17,680 refugees from Syria and elsewhere, as the crisis continues. One of the school’s coaching graduates who speaks Arabic was on the train with them. He ended up in Germany, where media reports revealed he had been a football coach in Syria. 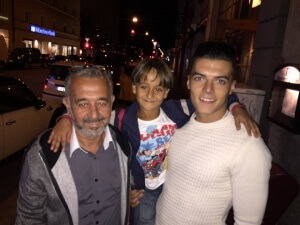 The school then convinced him to come to Spain, where he will stay for now in an apartment near the school’s training facility in the suburb of Getafe. Read more at aljazeera.com. Image thanks to aljazeera.com.